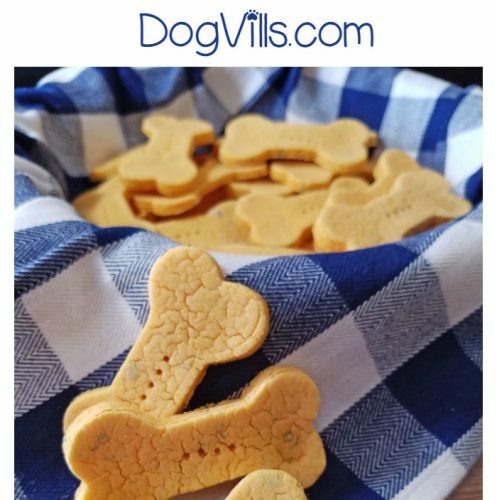 We have another great dog treat for you today. 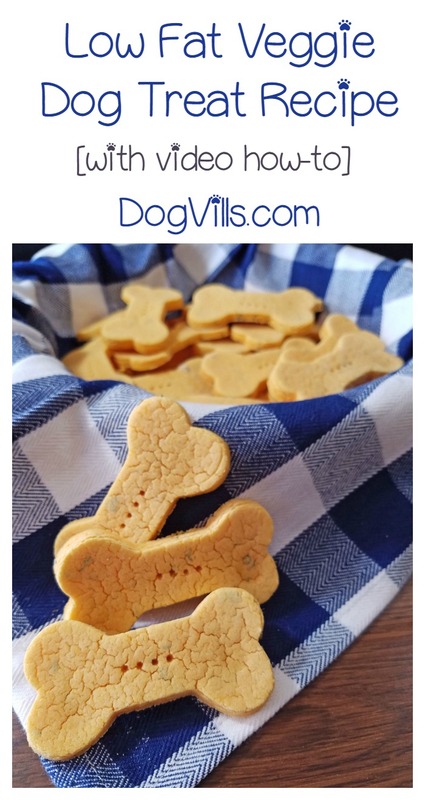 This low fat veggie treats recipe is quick, easy, and hypoallergenic. It’s so easy you only need 5 ingredients. Many of these you likely have on hand. You may need to pick up some rice flour at the store. Check out the video tutorial, then read on for a printable recipe card! Before we get into the recipe, I want to give you a few tips to make it a little easier. There are a few tricks I have learned when it comes to working with rice flour. The first is to always use finely ground, or stone ground rice flour. In my experience stone ground has the perfect texture for baking. If the rice is not fine, the flour will not absorb the fluid. The second tip is that sometimes it helps to let the dough sit for a few minutes before rolling it out. Letting the dough sit is not required, but it gives the rice flour time to really absorb the liquids and allows your dough to hold together better. When you are rolling out multiple sheet treats, the easier the better. This made about 2 ½ dozen treats. 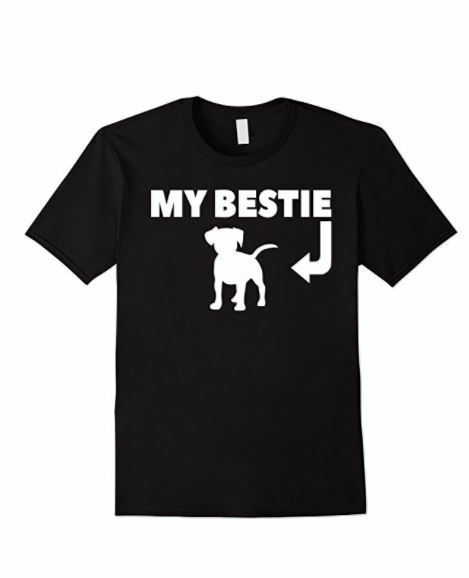 So, it is perfect if you have multiple dogs. Store them in an airtight container, and even though they look dry, keep them in the refrigerator. I hope your dogs love them as much as mine. Gently combine the dry ingredients with the wet ingredients. Knead with your hands until you have a smooth ball of dough. Take a rolling pin and flatten out the dough. Use a cookie cutter to cut out fun shapes. Make sure you are using a non-stick baking sheet , or spray it with oil. Make sure you are using a non-stick baking sheet, or spray it with oil. Isn’t that so easy? 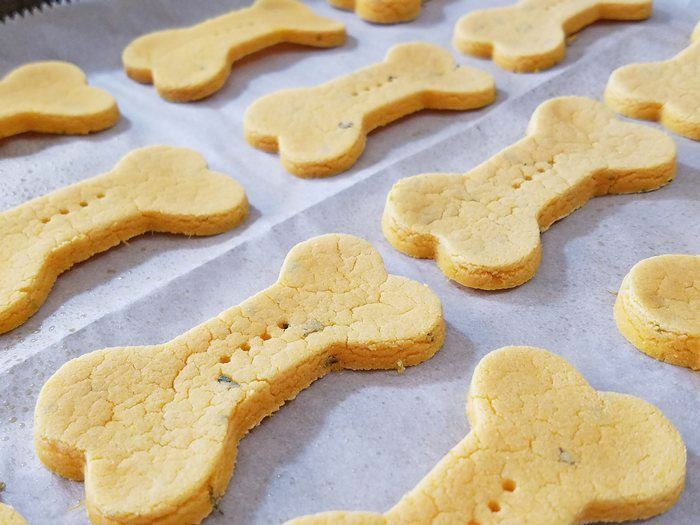 This is the perfect recipe for helping Fido keep those New Years Resolutions to get fit! Okay, so it’s probably you making the resolutions for him, but still! 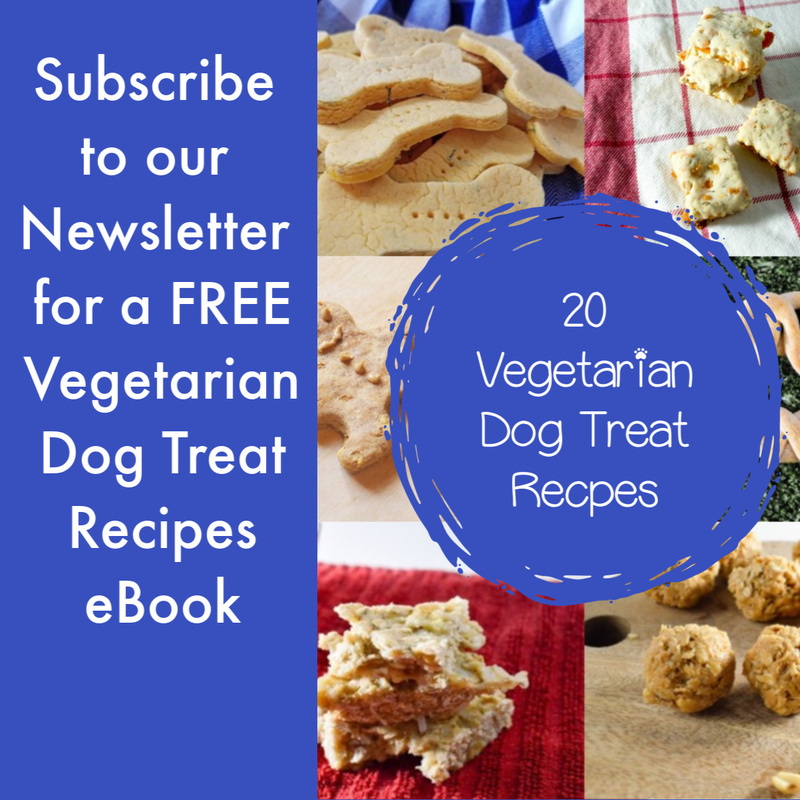 Looking for other tasty vegetarian treats? 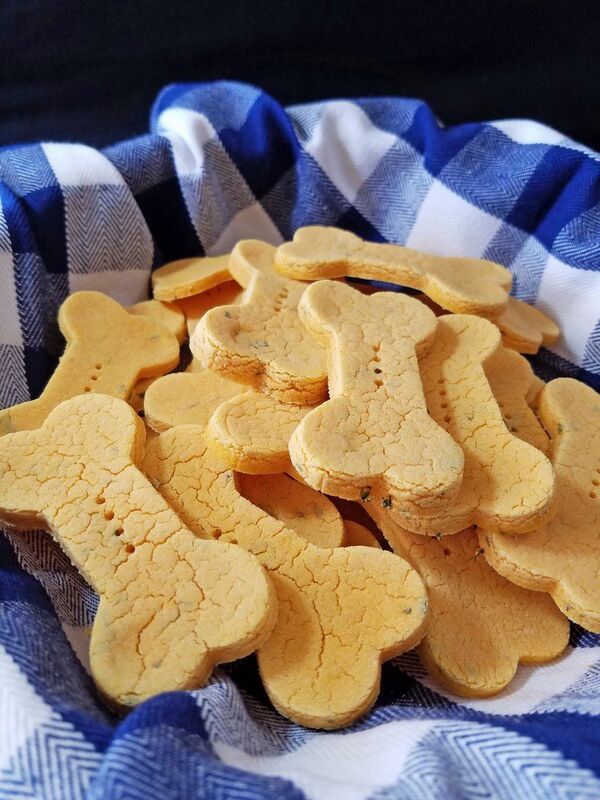 Check out our Homemade Zucchini Vegetarian Hypoallergenic Dog Treat Recipe! 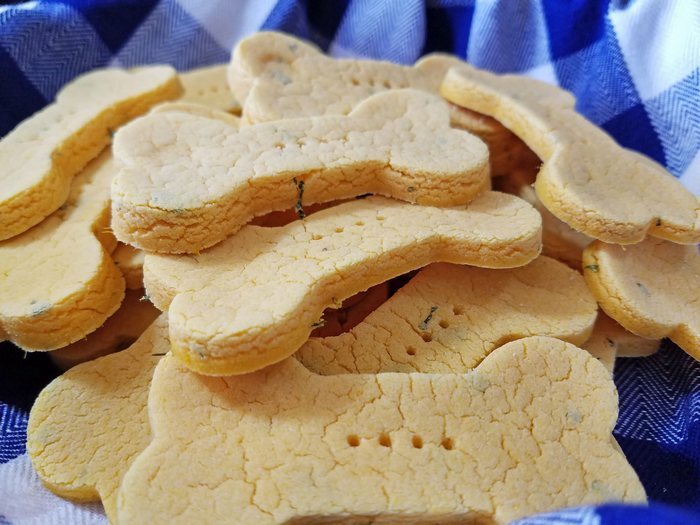 Do you have a favorite low-fat veggie treats recipe that you make for your dog? Share your thoughts in the comments!